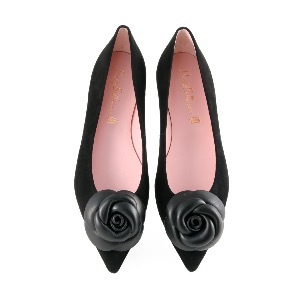 These dainty points feel very Chanel inspired and are the perfect elegant flat black shoe. Your perfect partner for both dresses and tailored pants. Crafted beautifully by Pretty Ballerinas ensures ultimate comfort and style. We find these true to size and have half sizes to ensure the very best fit.